This time last year we were lucky enough to visit Venice. It is a mind blowing and totally stunning city that I would love to return to in the future. I’ve put together some tips from our time there for you. We initially booked a hotel right on the edge of the old city, quite near to the train station. 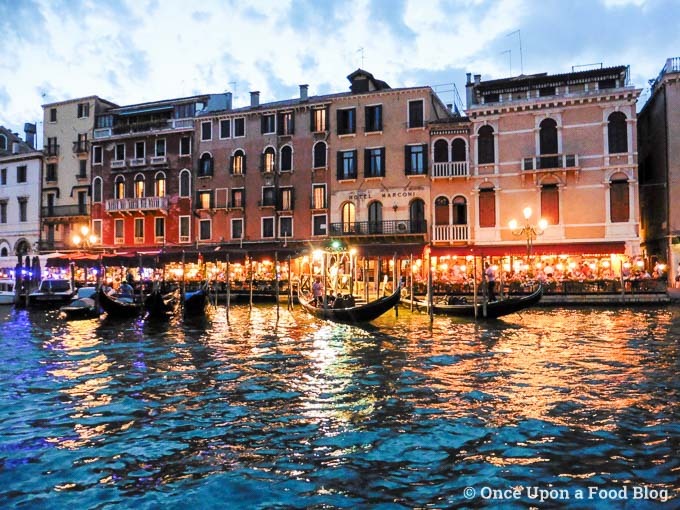 As the holiday grew nearer we decided it would be easier, and nicer, to stay more centrally so we cancelled the booking and booked into a hotel (details below) overlooking the Grand Canal, just down from the Rialto Bridge. It was definitely the right decision. It meant that we were pretty much central to the whole city meaning that we could get to anywhere we wanted to easily. 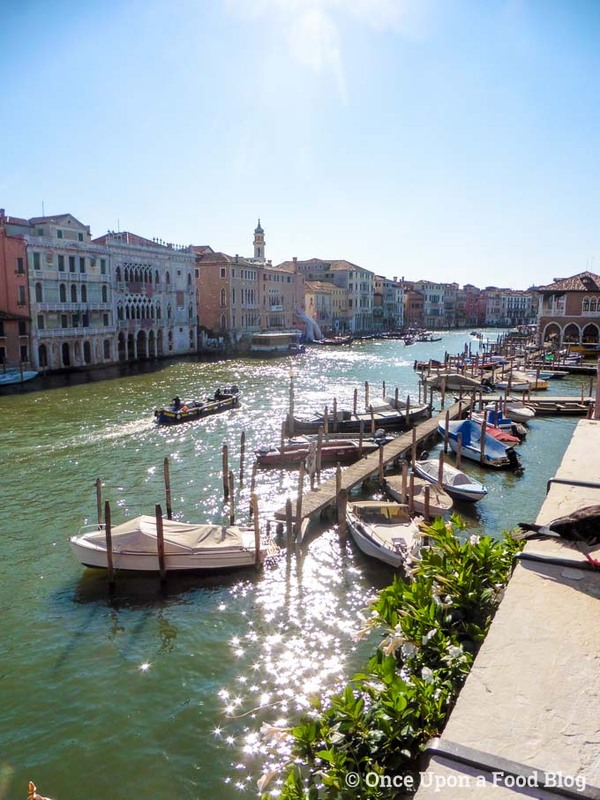 It also meant that we could have breakfast overlooking the Grand Canal – a big treat! 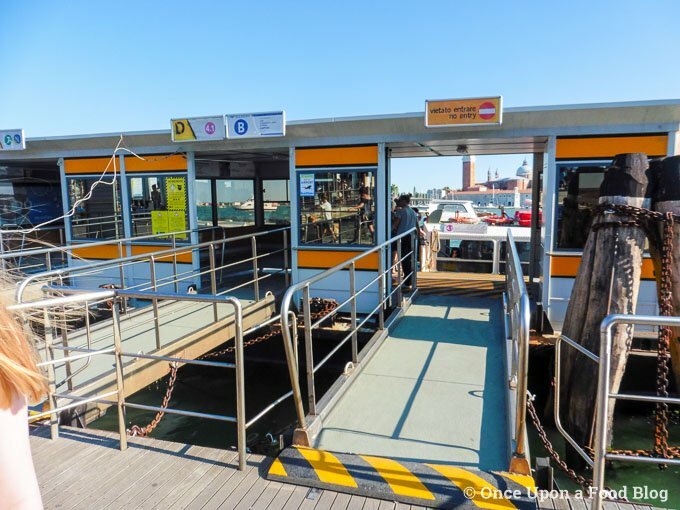 We were in two minds as to whether to catch the water bus all the way from the airport, or the road bus to the historic city then the water bus (vaporetto) on from there. We went for the second option and were glad that we did as it saved money and, to be honest, the area outside historic Venice is pretty industrial, so we didn’t miss much anyway. We purchased a 3-day travel pass for each person. 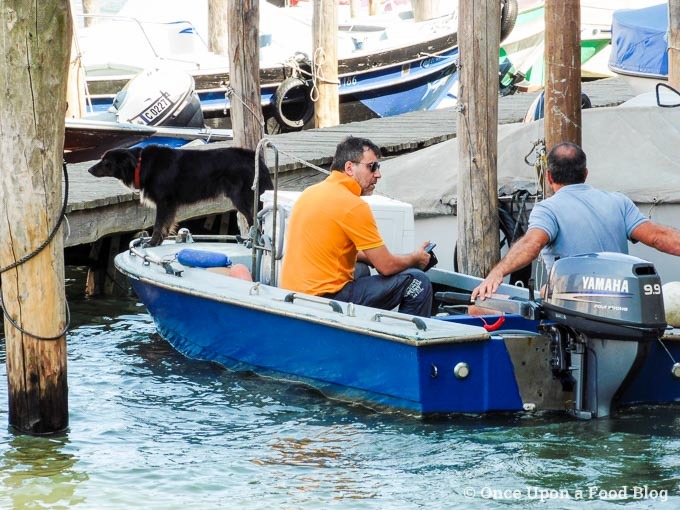 It worked well for us as it can be used on both the road and water buses. Although a little pricey it meant we could hop on and off whenever we wanted. We purchased it at the airport when we arrived, though they can be bought from the Venezia tourism website beforehand. 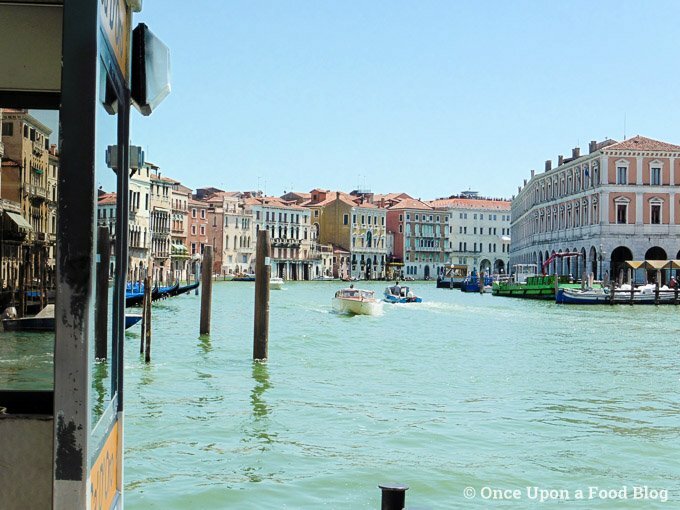 There are many different types of ticket for the road and water buses: we found a useful article on europeforvisitors.com which helped us make our decision. We arrived late so the vaporetto was empty. We had a great view from the back. Far be it from me to tell you what to do but, even if you have the most well behaved kids, who are happy to sit in a buggy and watch the world go by, Venice would be a nightmare with a buggy. 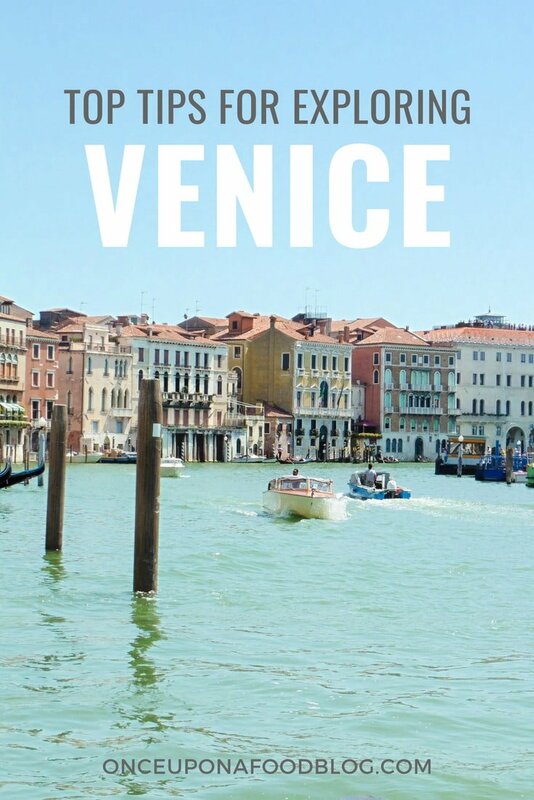 Venice has over 400 bridges and no bridge ramps. It was bad enough getting the suitcase from the bus to the hotel! The hotels are also pretty short on lifts. We had to walk up four flights of stairs to get to our room. It gave us great views but was not ‘easy access’. 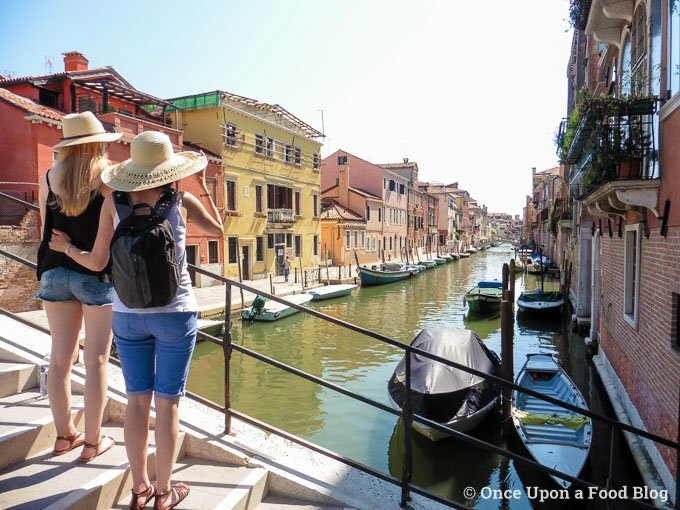 Apparently it is possible to get around Venice in a wheelchair but my advice would be to do your research before you travel so you know what to expect. I have no idea how many bridges we crossed but it was a lot! On our second evening we ate in a beautiful little courtyard restaurant close to our hotel (details below). As we left the sun was setting and we decided to take the water bus down the Grand Canal. This was one of the best things we did during our time in Venice. The buildings were stunning in the evening light, and as we rounded the corner towards St Mark’s Square a large orange moon hung over the domed roof of the Church of San Giorgio Maggiore – magical! 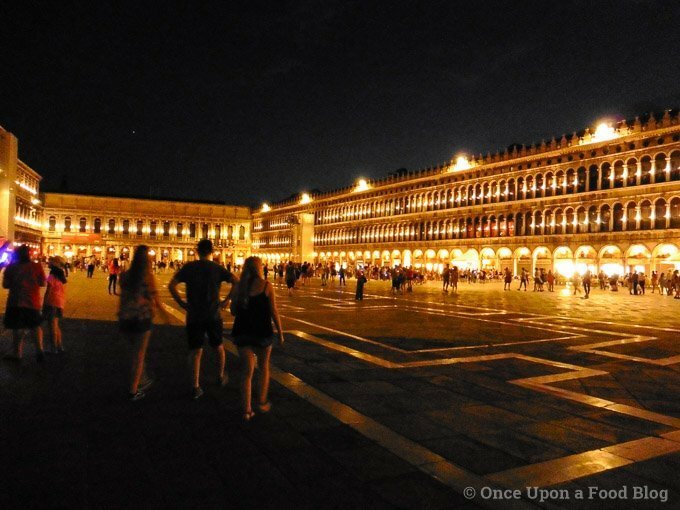 We walked through St Mark’s Square during the day but it was heaving so we decided to return in the evening. The atmosphere was much nicer at the end of the day. People were more relaxed and you weren’t in the blazing sunshine as you looked round. There were also some quartets playing which was lovely. We didn’t stop to get a drink as we didn’t fancy being fleeced. Not only is the drink expensive but you can also be charged a hefty extra if you are sitting near one of the quartets. For stunning photos of vibrant houses you will want to visit the outlying islands. We didn’t do this. 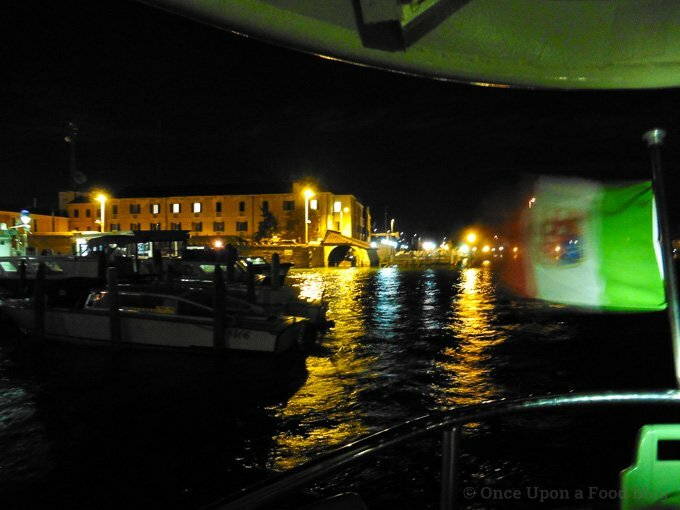 Partly as we wanted to ‘do’ Venice itself thoroughly in our time there, and partly as our youngest gets sea sick very easily – even the boat down the Grand Canal was a bit too much for her! Did we miss out? I have no idea but there is so much to see on the main island that we have no regrets. Venetian churches have a dress code and they stick to it very strictly. Skirts and shorts must come to the knee and shoulders must be covered. We didn’t realise this initially but we were soon told! This one goes without saying but if you try and eat anywhere near St Mark’s Square you’ll pay a fortune for the privilege and the food will be below par as they know you’re a tourist, and most likely a day tripper, so they don’t need to lure you back. 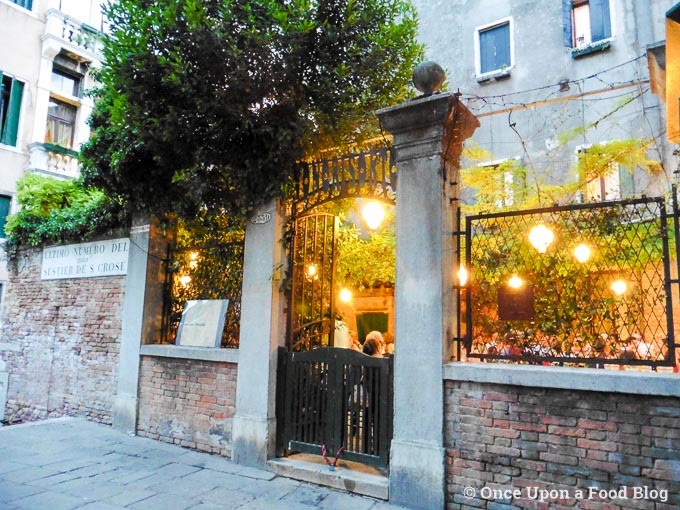 However, further out, there are good places to eat in Venice. My advice is to consult Trip Advisor for up to date info on this. We whiled away a very happy hour or so sitting on our hotel balcony, watching the traffic. 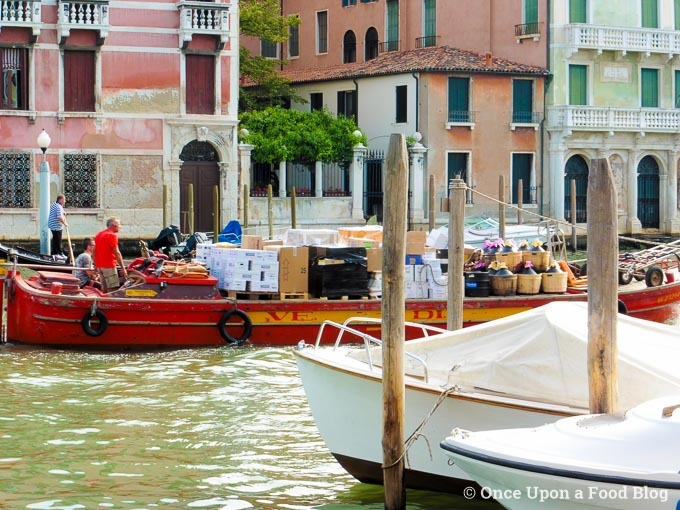 Remember that everything that needs to move in Venice has to travel on the Grand Canal. We saw fruit, wine and washing machines being delivered, hotel laundry being collected, the rubbish collectors, a DHL boat, taxis, buses and private ‘cars’ and even ambulance and fire boats whizzing around, sirens blaring. The most exciting time to watch the traffic was the morning rush hour which starts around 7.30am. It was fascinating watching the traffic from the hotel’s main entrance. Everyone says it, but it’s true. 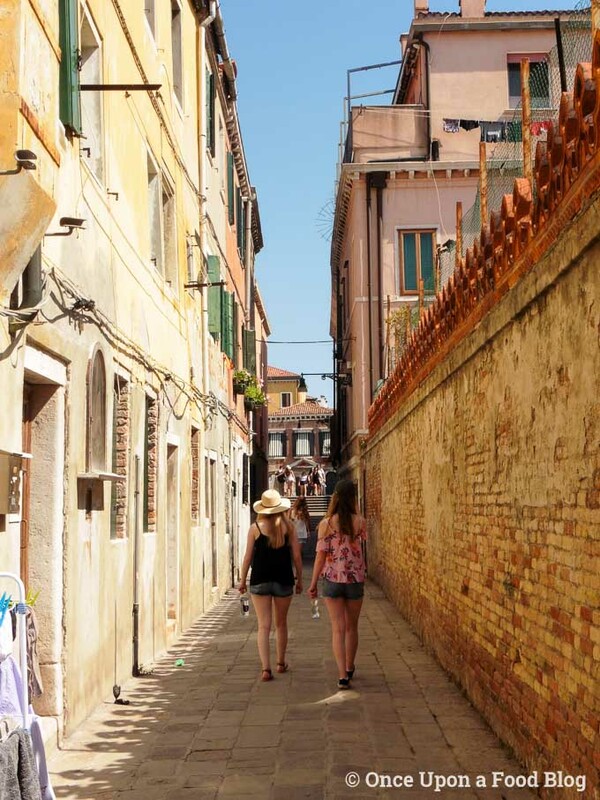 One of the best things to do in Venice is to get lost. We must have wandered the majority of the streets in our few days there and we felt like we got to know the city a little bit. 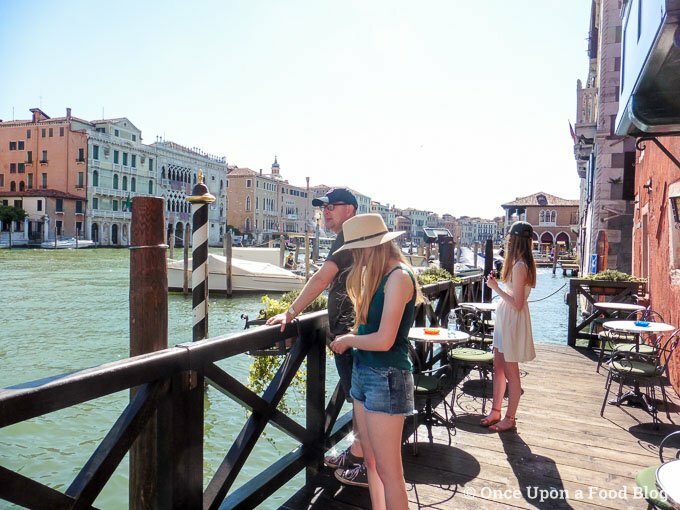 Some of our favourite spots were well away from the regular tourist routes and it’s not a city that you can get truly lost in as you’re never far from the Grand Canal. 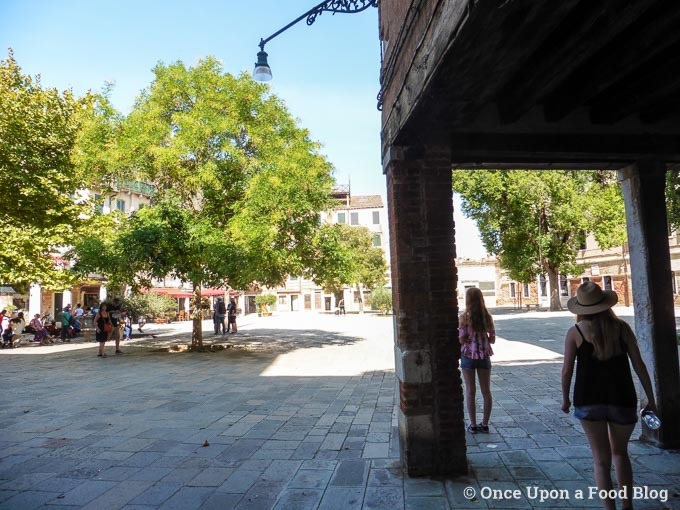 It’s also worth noting that there aren’t any ‘no go’ areas in Venice’s historic centre (although I don’t know about Venice mainland) and we felt very safe the whole time we were there. You can’t go far before you come to a campi (square) in Venice and each campi has a pump which supplies fresh and totally safe drinking water to anyone passing. Take the opportunity to top up your water bottles and cool your feet down. I’m fascinated by social history so could not miss an opportunity to visit the Jewish Quarter while we were in Venice. This is in a quieter part of the city, well away from the crowds. The presence of the local shops such as the pet shop, and the sheets hanging above your head, tell you that. There is a museum and a tour to book on to but we just wanted to wander through. 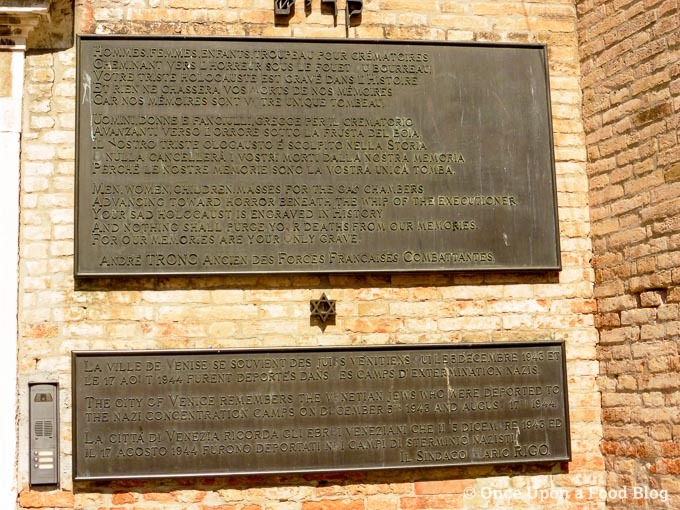 There is a small plaque on one wall commemorating the Jews who were deported to the concentration camps of World War 2 from the area, and a few people were paying their respects. This one goes without saying. If you want to avoid queuing in the baking sun then get to the tourist attractions early. We saw very long queues snaking through St Mark’s square for some of the main tourist attractions. 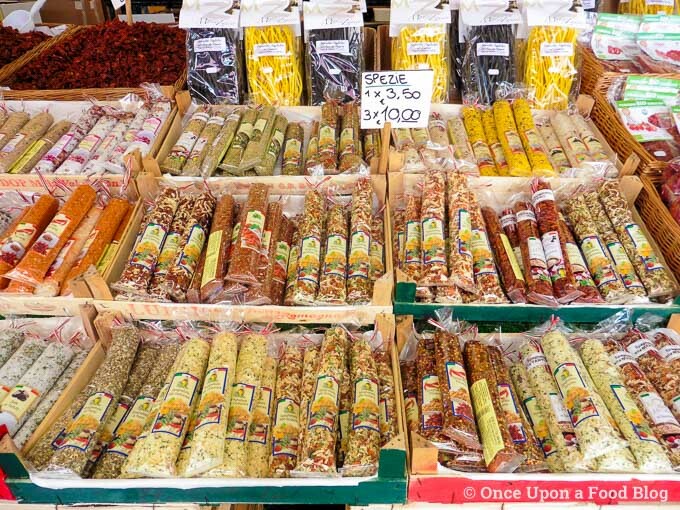 Venice is full of tiny boutique shops selling everything from tourist trash to leather goods and gorgeous Italian food (at inflated prices), and market stalls selling everything from sun hats to fresh fruit and veg. 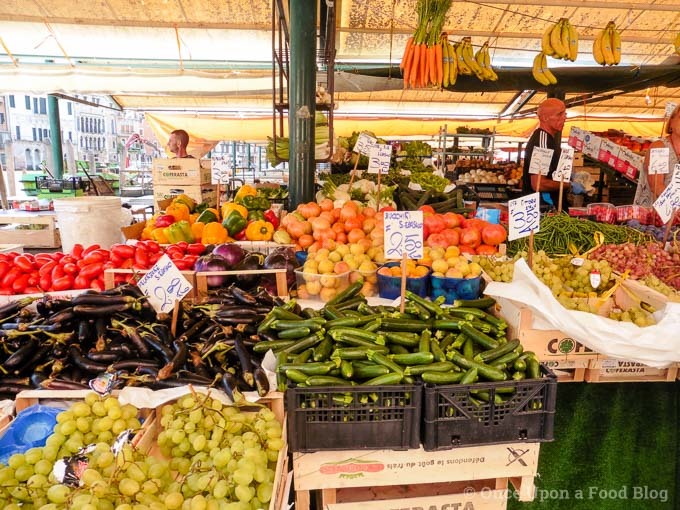 If you need a slightly more substantial shop at a better price you will find a few local supermarkets dotted around. 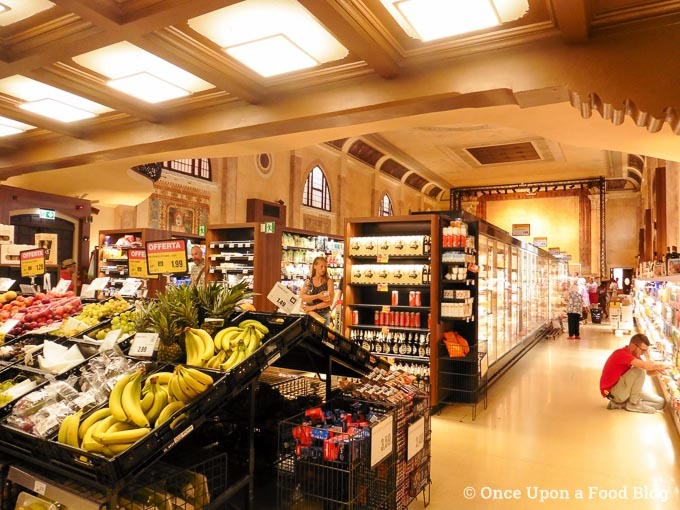 However, if you wish to visit what must surely be one of the most stunning supermarkets in Italy then head to the Ex Cinema Teatro (Calle de le Pignate, 30121). Recently renovated, this atmospheric old theatre has original paintings on the walls and ceilings and wooden shelving with low lighting to allow the beauty of the building to shine through. It is so beautiful and unusual that I would recommend a visit if you are passing, even if you don’t need to buy anything. Surely the most stunning Spar shop ever! 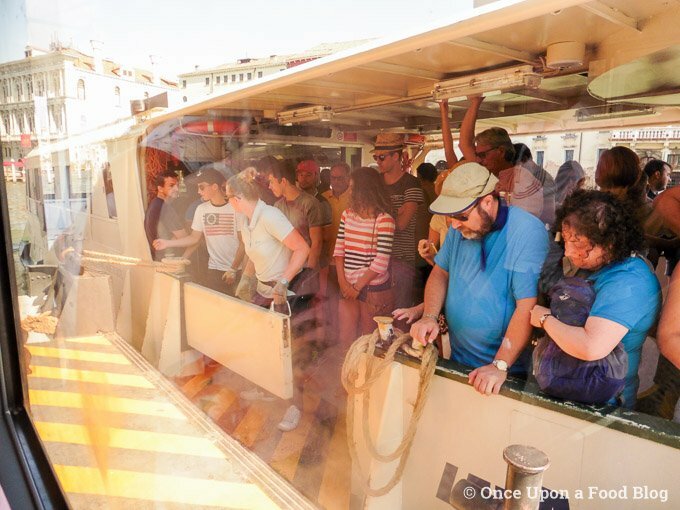 Venice is a busy, bustling city and occasionally you may want to grab some space. We loved sitting on the little mooring platforms of the smaller side canals (often found next to bridges) and watching the world go by. 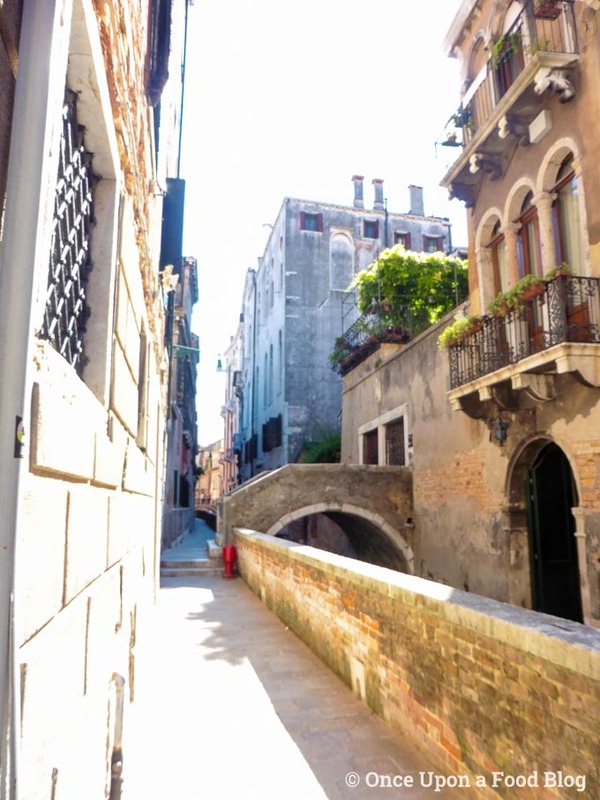 We also found a little alley going through a building from one of the many campi, or squares, to the local canal. 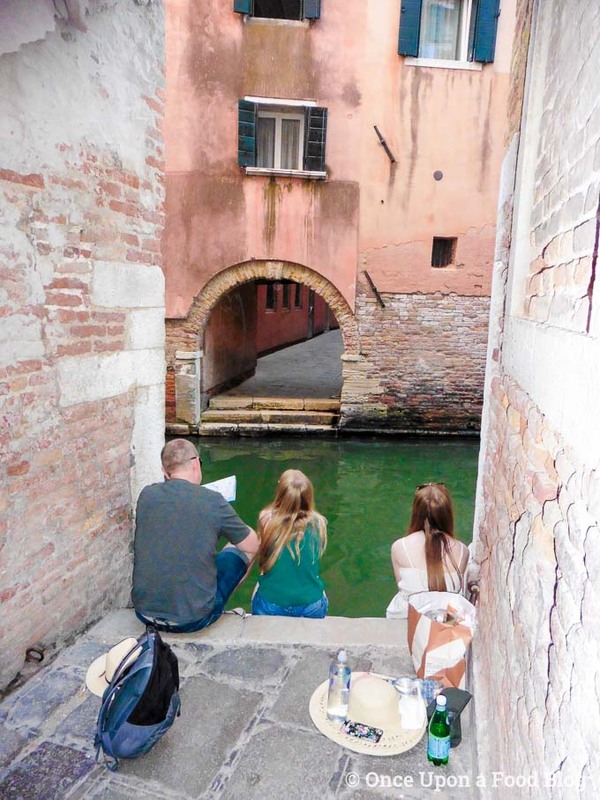 Sitting on the steps down to the canal, next to the mooring points for the local boats, we had a private view of the canal and could watch the world go by without being jostled. The alley through the building – a much needed quiet spot. While we were there a local man moored his boat by our feet and jumped out. He returned a couple of minutes later with a loaf of bread, jumped back in his boat and off he went! Be sure to read my articles on our memorable trip to Iceland and taking our teenage daughters to Disneyland Paris. Disclosure: This post has not been sponsored. It is an honest write-up from our family break; all opinions are our own.